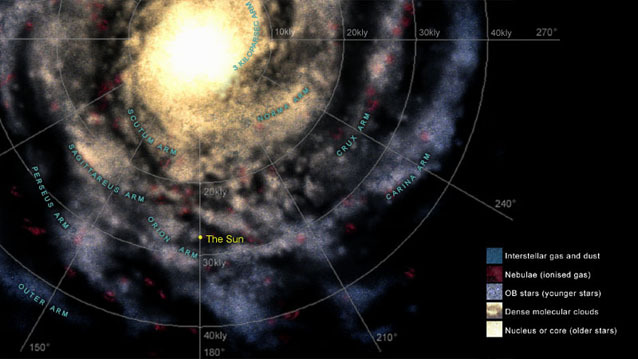 This map of our neighbourhood of the Milky Way galaxy is based on our unique galaxy simulation software, seeded with maps of interstellar dust and ionised gas. Our software, which renders millions of individual light sources, is able to produce maps in 3D as well as 2D, and as animated sequences. Source data: radio emission maps, galaxy simulator.